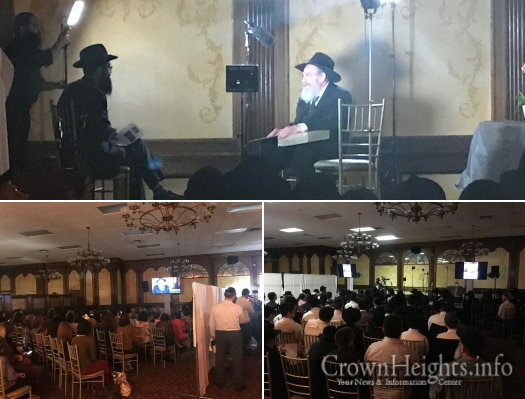 More than 300 people gathered in Los Angeles, CA, to watch a live interview of Rabbi Ezra Schochet, popularly known as “The Rosh,” and Mr. Tulli Deutsch, a renowned philanthropist, conducted by JEM’s My Encounter project. 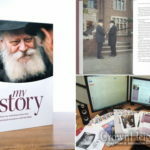 My Encounter interviews are usually conducted on video, with edited stories released in JEM’s weekly Living Torah videos and Here’s My Story publications. This time locals were able to be a part of the interview process, and see and hear the stories live, in their raw, uncut, unpolished state. 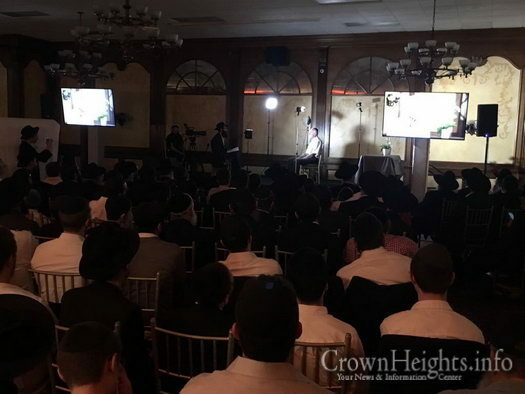 The crowd was fascinated by the recollections of Mr. Deutsch, a Holocaust survivor, who was encouraged by the Rebbe to personally record his memoirs, which are studied by military students at Westpoint to this day. 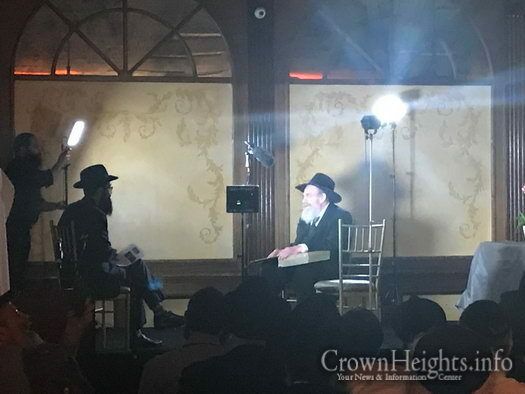 Rabbi Schochet recounted numerous stories, including the blessing and guidance he received from the Rebbe which lead to the birth of his children. 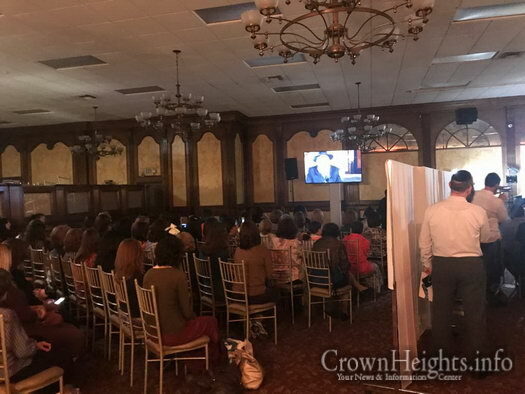 Los Angeles is the third community to enjoy a live My Encounter interview. 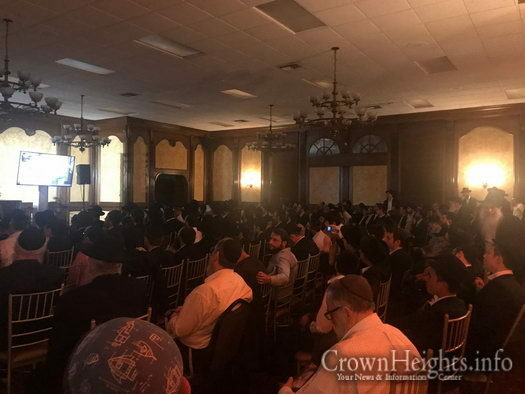 Previously, communities in Melbourne and Sydney Australia sold out halls to hear members of their respective communities share their stories of the Rebbe. 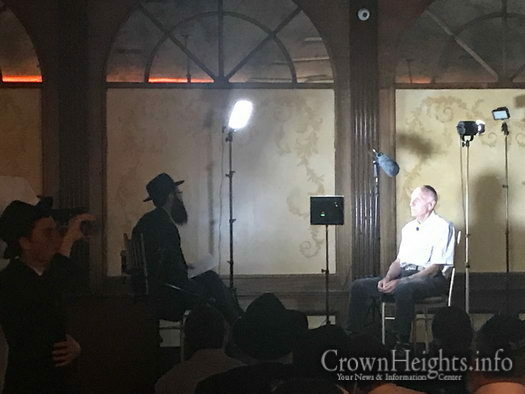 The program also featured highlights from previously recorded My Encounter interviews, as well as never before seen footage of the Rebbe, including advice on parenting. The sold-out My Story book was on hand for sale as well. 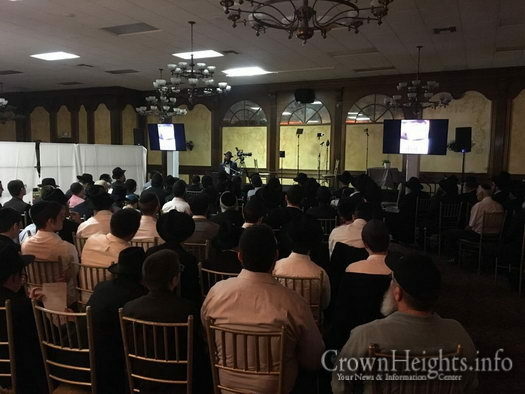 The event was a joint project of Cheder Menachem, Chabad of SoLA, Yeshiva Ohr Elchonon Chabad, Congregation Levi Yitzchok, Bais Chaya Mushka for Girls, Congregation Shaarei Tefila, Chabad of North Hollywood and Bais Betzalel. 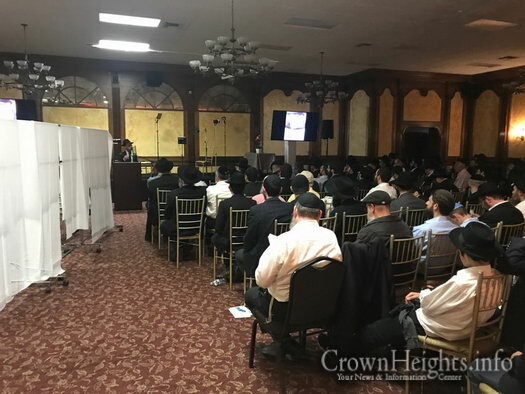 Special thanks to Yossi Lipsker and Mendel Goldman for arranging and hosting the event and to the sponsors: Milano Wigs & Alacrity Energy, Dr. Simcha Pollard, Yaakov Rosenblatt, Motti Slodowitz, and Yossi Mayberg. Go Rabbi Schochet & L.A. you are the most amazing R”Y (Rosh Yeshivah) in Lubavitch, no place like YOEC. 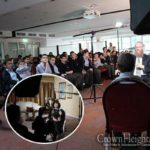 Anyone who knows Rabbi Schochet, knows that what he says he means, when it comes to Farbrengens, Rabbi Schochet is always speaking about Moshiach & what we have to do to bring Moshiach & how we have to go about doing it, he is very very clear about that & telling the Bachurim & everyone in general what the Rebbe really wants & demands from us, & how there are no excuses, Rabbi Shochet is the Man !! I am familiar with many members of this illustrious family. It was a pleasure and an honor to meet them in LA, NY, Toronto, Miami. 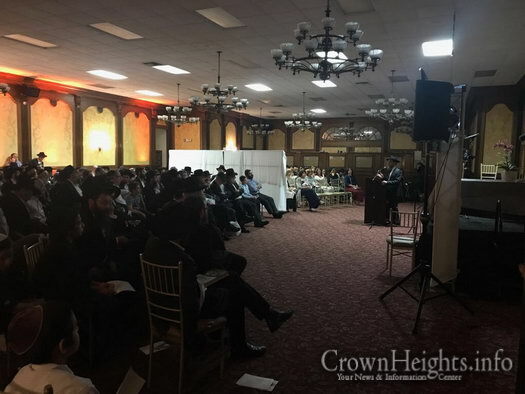 They are a family of true Bnei Torah that are marbitz Torah v’Halacha by being Rabbonim, Rosh Yeshivas, community leaders, askonim and klal people always guided by their commitment to Torah and Halacha. Interesting that I met members from three generations from this family – which Chazal promise that if a family has 3 generations of Bnei Torah, the Torah will remain with that family. If the Rosh would have been a snag, they would have put him at the head of Moetzes Gedolei HaTorah.